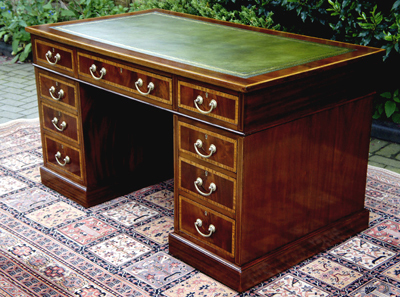 This handsome antique mahogany and satinwood desk is a practical size for a study. It is polished all round so that it can be used as a free-standing piece facing into the room if required and the eye catching timbers and contrasting banding would make it a stunning focal point for a traditional or contemporary office or study. 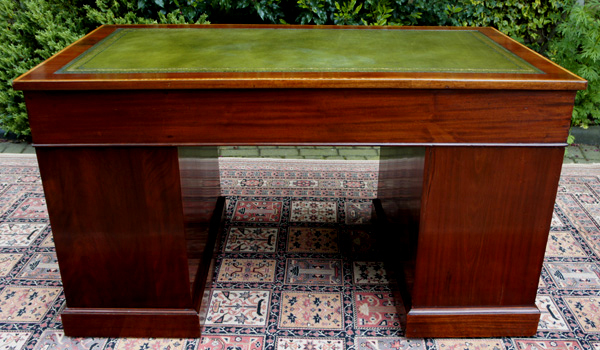 This handsome antique mahogany and satinwood desk is a practical size for a study. 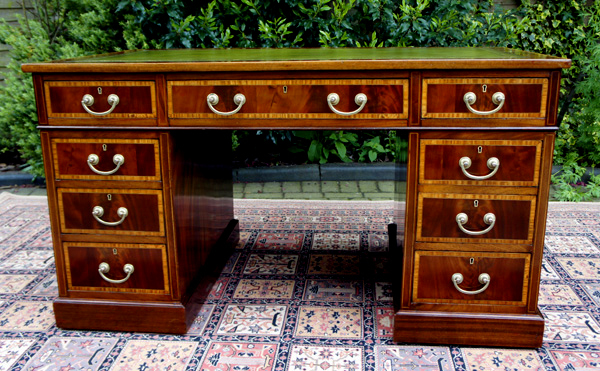 it a stunning focal point for a traditional or contemporary office or study. which is surrounded by a cross-band of satinwood with ebony and satinwood stringing. This cross-banding is also found on the drawer fronts. original brass locks and ornate and brass handles. All drawers are very deep offering plenty of storage. and the pedestals stand on plinth bases with hidden castors beneath for ease of movement and installation.